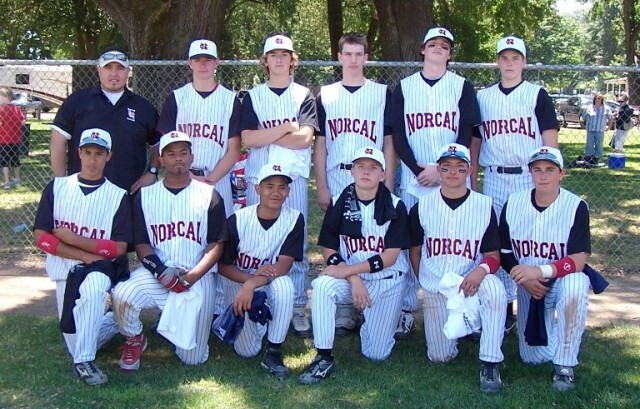 Norcal Baseball is a youth baseball organization based in the San Francisco bay area. It was established in 1992 as a single AAU team. 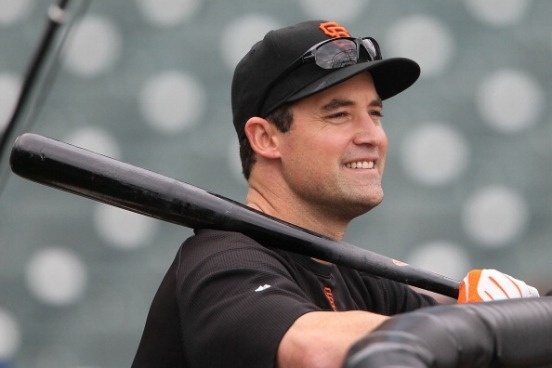 But oh what a team it was, featuring Major Leaguers Jimmy Rollins and Pat Burrell. With future stars like that it should be no surprise that the squad won the 1992 15U national championship. And from this early success was launched a comprehensive youth baseball league with a mission of producing players who will be able to play college and pro ball. As of 2013, 35 Norcal baseball alum of have suited up in the Major Leagues and over 350 have played college baseball with 200 of those collegians competing on the Division one level. Norcal baseball has 10U, 11U, 12U, 13U, 14U, 15U, 16U, 17U and 18U teams. To join one of these teams, a player will have to try out. The tryout is in August for fall ball and is divided into one tryout for nine to fifteen year olds and another for sixteen to eighteen year olds. Norcal baseball isn’t just looking for the best players. They are are looking for the best players who are willing to commit what it takes to compete on a national level. Norcal Baseball is arguably the number one youth baseball organization in America. A player who makes a Norcal team will not only receive top notch coaching but they will bey exposed to college coaches and pro scouts, greatly improving their chances to either be drafted or enter college on a baseball scholarship. Norcal Baseball sends their teams to national tournaments, such as the USA Baseball Championships in Arizona, the Continental Amateur Baseball Association Championship in Indiana, TBS in Georgia and USSSA tournaments in Northern California, Southern California, Las Vegas. Norcal also hosts an annual summer tournament, the Norcal World Series. It cost between twenty and thirty five dollars to attend a NorCal Baseball tryout. Once you make the team there is about a two-hundred fifty dollar fee and then travel and tournament fees on top of that. Norcal asks that you contact them directly for the exact up to date fee structure. A non-profit organization, Norcal tries to keep its fees as reasonable as possible. NorCal baseball also offers two training programs. The first, a velocity training program is a fourteen week (38 session) total arm conditioning and strengthening program. Players who have taken it have reported improvements from 3.7 to 9.4 MPH on their fastball. The cost of the program is $895. NorCal also sometimes runs an eight week catching an agility program. Although this program is not currently available. Brandon Buckley, Scott Harrison, Jamal Harrison, Brent Howard, Todd Johannes, Mike Rose, Cy Simonton, Pat Burrell, Justin Gemoll, Bobby Hill, Jason Hill, Tony Johnson, Ashanti Davison, Jimmy Rollins, Jason Dennis, Jamie Eppeneder, Ronny French, Brian Manfred, Xavier Nady, Matt Riley, Mike Tonis, Brandon Gemoll, Ronny Johnson, Mike Rouse, J.J. Sherrill, Steve Skinner, Chad Fillinger, Dontrelle Willis, Reed Johnson, Josh Kreuzer, Dave McKae, Nash Robertson, Jonathan Tucker, Jonny Ash, Julian Benavidez, Chris Campos, Chris Carter, Armand Gaerlan, Matt Goodson, J.P. Howell, Casey McGehee, Nate Sutton, Jordan Brown, Chris Gruler, John Jaso, Drew Olson, Dustin Realini, Troy Tulowitzki, Karl Bolt, Josh Butler, Lauren Gagnier, Steve Lerud, Brandon Morrow, Steve Singleton, Nick Moresi, Brad Bergesen, Matthew Mitchell.